The December 2013 online discussion group of the Mormon Transhumanist Association will be on Saturday, December 28, at 10:30am mountain time (9:30am PST, 12:30pm EST, 5:30pm UK, 6:30pm EU), in Google+ Hangouts. The proposed launch of a “Transfigurist Network” as an umbrella organization to coordinate the work of different religious transhumanist associations, such as the MTA and the CTA. The term “transfigurism” denotes advocacy for change in form, and alludes to sacred stories from many religious traditions. This meeting will analyze the recent online discussions and plan the following steps. We cordially invite you to submit papers, artwork, photography, poetry, and music for the 2014 Conference of the Mormon Transhumanist Association, which will be held on April 4th, 2014, in Salt Lake City, UT. The aim of this conference is to address the many issues and topics that lie at the intersection of technology and religion, and their impacts on society, and culture including art, music, and entertainment. Contributions need not focus only on specifically Mormon religious issues. Selected artwork will be displayed at the venue during the conference. Poetry and music may be chosen to be presented or performed during the conference (similar to the choral performances last year). Papers should be approximately two to seven pages in length. Authors of accepted papers will be given either 5 or 15 minutes to present the ideas in their papers at the conference depending on whether their papers are accepted for a short or for a long presentation. A selection of the best of these contributions (including the poetry and artwork) will subsequently be published in the conference proceedings, which will be made available online and potentially in print form. Therefore, papers should be written with the intent of eventual publication in mind (full citations, references, footnotes, etc.). Authors whose papers are selected for publication will be given an editor to work with, to prepare their final paper for publication. Please send submissions in RTF, PDF, or MS Word format to admin@transfigurism.org, by email attachment. Include author's full name, contact information, and title. For more information, visit the official website of the Mormon Transhumanist Association at transfigurism.org. Conference Paper Deadline: February 1st. Presentation Notification Date: February 20th. For further conference related questions please contact admin@transfigurism.org. For further publication / formatting questions, please contact the publication editor, James L. Carroll, at james.carroll@transfigurism.org. The November 2013 Discussion Group of the Mormon Transhumanist Association will be on Saturday, November 23, at 10:30am mountain time (9:30am PST, 12:30pm EST, 5:30pm UK, 6:30pm EU), in Google+ Hangouts. Religious, social, and cultural differences between Mormonism and mainstream Christianity. One of the objectives of the discussion will be to find ways to take advantage of the MTA experience to facilitate the launch of a Christian Transhumanist Association (CTA). The Mormon Transhumanist Association is co-sponsoring a lecture by Dr Amit Goswami on Thursday 14 November at 7pm Mountain Time in the Eccles Auditorium on the University of Utah campus in Salt Lake City. He will speak on the subject of quantum physics and health, including discussion of integrating conventional science, spirituality and healing. Goswami is a professor of theoretical nuclear physics (retired) at the University of Oregon where he served since 1968. He is a pioneer of the new paradigm of science called “science within consciousness”, an idea he explicated in his seminal book, The Self-Aware Universe, where he also solved the quantum measurement problem elucidating the famous observer effect. Goswami has written several other popular books based on his research on quantum physics and consciousness. More information is available on his website. Admission to the lecture is free. The Eccles Auditorium is on the 6th floor of the Huntsman Cancer Institute. Parking is underneath the Huntsman Cancer Institute and is free. The October 2013 Discussion Group of the Mormon Transhumanist Association will be on Saturday, October 26, at 10:30am mountain time (9:30am PST, 12:30pm EST, 5:30pm UK, 6:30pm EU), in Google+ Hangouts. If you have already participated in an association online discussion group, you know what to do. Otherwise, please join Google+ and the Mormon Transhumanist Association community on Google+, add Giulio Prisco and Lincoln Cannon to a circle, and let us know that you wish to participate so we can invite you. - Impressions from the recent London Futurists meeting on Futurism, Spirituality, and Faith, with Carl Youngblood and Giulio Prisco. The Mormon Transhumanist Association and the Teilhard de Chardin Project have formed an institutional partnership to promote familiarity with Pierre Teilhard de Chardin, a twentieth century philosopher and Jesuit priest whose life and works continue to inspire modern Transhumanism, an ideological identity that reflects Teilhard de Chardin's observations that humanity is approaching a critical "trans-human" stage in our evolution. The Teilhard de Chardin Project will produce a two-hour television biography, tentatively entitled The Evolution of Teilhard de Chardin, interpreting the life and philosophy of Teilhard, a contemporary of Einstein, and a powerful voice for both evolutionary science and religion in the twentieth century, plus a robust interactive website. Produced by Frank Frost Productions, LLC, the documentary will be accompanied by a multifaceted Internet outreach that provides opportunities for viewers to dialogue with one another and scholars from around the world on topics introduced by Teilhard’s sweep of ideas. More information is available on the Teilhard de Chardin Project website. The council of scholar advisors for the project includes Stephen R. White, professor in the Department of Leadership and Educational Studies at Appalachian State University, author of many articles contextualizing Teilhard’s thought in global education (including “Teilhardian Thought, Cyberspace and Educational Organization,” Sage Publications, 2013), and member of the Mormon Transhumanist Association. The Mormon Transhumanist Association is an international nonprofit organization that promotes radical flourishing in compassion and creation through technology and religion, as outlined in the Transhumanist Declaration and the Mormon Transhumanist Affirmation. Although we are neither a religious organization nor affiliated with any religious organization, we support our members in their personal religious affiliations, Mormon or otherwise, and encourage them to adapt Transhumanism to their unique situations. Association CIO Carl Youngblood will be presenting at the upcoming European Mormon Studies Conference, taking place Saturday, 14 December 2013 from 10am to 6pm at the Hyde Park LDS Chapel in London. The subject of Carl’s presentation is “Demythologizing Mormonism.” Theologian Paul Tillich described “myths” as a special subset of the symbols of faith in the form of “stories about divine-human encounters.” Contrary to popular understanding, such myths are not untrue. They can even be, and often are, based on historical events. But their strength is not derived from their historicity. It comes from their being powerful motivational narratives that will still be relevant long after the historical incidents that led to their emergence. The experiences of the "mythic" heros of Mormonism, most notably Joseph Smith, continue to resonate with believers throughout the world. But the gap between the modern world and the one that Joseph inhabited continues to widen, and a work of translation is necessary if these narratives are to continue to motivate contemporary audiences. This paper explores how paradigm shifts can render myths inaccessible and how myths must be "broken" (in Tillich's parlance) in order to remain relevant. It also examines some potential applications of Tillich's theory to Mormon doctrines and practices. Carl Youngblood has worked professionally as a software engineer for over fifteen years. He received a bachelor's degree in Portuguese from Brigham Young University and a masters in computer science from the University of Washington. He co-founded the Mormon Transhumanist Association in 2006, where he currently serves as director and CIO. Metro World News interviewed Carl Young, director and chief information officer of the Mormon Transhumanist Association, on the subject of Mormon Transhumanism. Carl briefly addressed the challenges of working to bridge religious and scientific worldviews, while sharing some thoughts on God and human potential. Read more at the Metro World News website about "Transhumanism: Mormons and scientists unite for life-extension". Adam Ford, a director of Humanity+, interviewed Karl Hale, director and chief financial officer of the Mormon Transhumanist Association, for a Mormon Transhumanist perspective on Calico, Google's anti-aging initiative. Humanity+ and the Mormon Transhumanist Association are affiliates. The interview is available on YouTube. It is also embedded below for your convenience. Carl Youngblood, director and chief information officer of the Mormon Transhumanist Association, will present to the London Futurists at the Birkbeck College of the University of London on Saturday 21 September 2013. His presentation will be part of a conference on the topic of "Futurism, Spirituality and Faith". Carl will emphasize the ongoing relevance of religion in modern life and how greater awareness of and accommodation for human religiosity will be essential for a successful transition to positive posthuman futures. Also presenting at the conference, association member Giulio Prisco will argue that future science may achieve all the promises and mental benefits of religion without being based on outmoded theories. Other panelists will present various points of view, including a defense of secular science in opposition to religion and an argument for the importance of being aware of religious trends. More details can be found on the event's meetup page. On the June 23rd in a special leadership broadcast, Elder L. Tom Perry announced that the Church of Jesus Christ of Latter-day Saints would be rolling out a program to allow its full-time missionaries to use Facebook and other new media platforms to connect with investigators and potential converts. This change is part of a broader trend toward more online engagement by the LDS Church. The Internet occupies an important place within the unfolding history of religion. The Internet is a powerful tool that presents many challenges and opportunities within religious communities. In recent General Conference addresses, high-ranking LDS Church leaders have encouraged members to be actively engaged in online communities. A new internet survey examining how Mormons use the Internet aims to explore how Mormons engage with online communities. 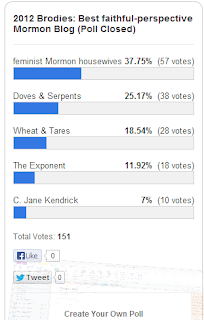 This survey fills a gap in the existing literature within the Study of Media and Religion. The field of Media and Religion is growing quickly and is in desperate need of quality research about Mormonism. The literature that does exist is outdated and only anecdotal. Existing studies do not capture the complexity of Mormon life or community on the internet. The unique place of Mormonism and the positive interaction with technology has the potential to expand the discussion within academic circles, creating a constructive conversation. This survey and subsequent studies will help situate Mormonism and Mormons’ experiences in this important moment in history. To take the survey click on this link. The survey was constructed to use questions from existing studies, such as research from the Pew Center. This design enables the researchers to to compare and contrast the findings of this survey with previous studies, creating a more robust analysis. Many of the questions in this survey necessarily simplify complex religious and spiritual issues. Close-ended questions are difficult to craft and are necessarily blunt instruments. This is a huge limitation of all survey research, but it is unfortunately unavoidable. Please try to identify the answer that best reflects your opinion even if the choices presented don't exactly match your views. When participating in the portion of the study directly related to internet usage, if the sites you visit are not listed, please take the few second to fill in the ‘other’ box. Your feedback in these boxes will improve this survey, and provide vital information for future survey construction. Despite the limitations of this survey, it does provide a snapshot of Mormon Internet usage and the more participants the clearer the picture. The survey has ethics approval from the University of Cambridge and the results of this study will be shared with general and academic audiences. In addition to the general presentation of the results, participants who are interested in a report of the results of the survey will be sent a copy. About the principle investigators of the study: Brad Jones is a Doctoral candidate in Political Science at the University of Wisconsin at Madison. Jessica Finnigan is an Advanced Diploma student in Religious Studies at the University of Cambridge. Chris Bradford, Vice President of the Mormon Transhumanist Association, will speak at the Sunstone Symposium at the University of Utah in Salt Lake City on Saturday 3 August at 9:45am. Chris will present his paper, "Bodies without End," drawing on the work of James Faulconer and David Paulsen, dealing with Mormon conceptions of embodiment — both human and divine — and on the work of Antonio d’Amasio and Douglas Hofstadter, dealing with identity, embodiment, and emotion, to propose a model of embodiment that fits Joseph Smith’s teachings on spirit bodies, physical bodies, resurrected bodies, and God’s body. More information is available in the conference program and on the Sunstone website. James Carroll answered the question, "What is Transhumanism?" Carl Youngblood shared "Transhumanist Parallels in Mormonism" and "A Transhumanist Interpretation of the Gospel". Lincoln Cannon explained why "Mormonism Mandates Transhumanism". Chris Bradford wrote on "Mormon Transhumanism Criticisms and Responses". What are the Talmage Awards? James E. Talmage is a notable Mormon scientist who served as an Apostle of the Church of Jesus Christ of Latter-day Saints between 1911 and 1933. In memory of Talmage, the Mormon Transhumanist Association seeks to identify and publicly recognize outstanding contributors to the work of promoting radical flourishing in compassion and creation through technology and religion. This year, Association members will nominate and vote for candidates in various categories, such as "Best Mormon Transhumanist Blog," "Best Speech on Science and Religion," "Biggest Idea in Religious Transhumanism," and so forth. The Association will then announce winners and provide "Talmage Award Winner" web badges that winners can post to their websites. During the nominations phase, categories are proposed, as well as candidates for each category. Association members then vote on which candidate should win each category. What are the rules for nominating? Anyone is eligible to propose a category or a candidate in that category. No more than three nominations per author per nominator: otherwise it's hard for the readers to read all the nominations and get exposed to their work. Example 1: James is a big fan of Carl's work. James cannot nominate more than three of Carl's pieces. Example 2: Carl thinks his own work is perfect for almost every category. He cannot nominate more than three of his own works. Post your category and award nominations in the comments of this post. Discussion can of course take place anywhere (e.g. the Association's Google Group or Facebook page), but nominations must make their way into the comments of this post to be considered. 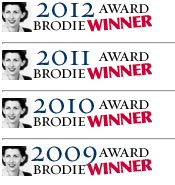 What will the award web badges look like? Do you have a model you're patterning the Talmage Awards after? 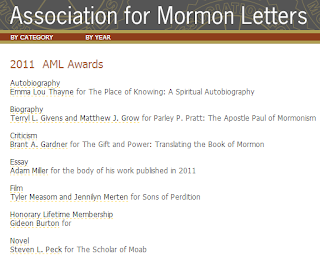 Our inspirations are the Brodie Awards (voting and results) and the Association for Mormon Letters. Who is managing this project? Brad Carmack, with assistance from Karl Hale and others. You are welcome and invited to help manage the project. Contact brad.carmack@transfigurism.org. Access: SYN provides open access for all young people to participate in its community. Independence: SYN produces content free from commercial and other external pressures. Participation: SYN supports young people to take charge of media creation, training and governance. Diversity: SYN actively encourages a range of youth perspectives, cultures and ideas. Innovation: SYN celebrates quality, and supports creativity and flexibility in its programming and operations. 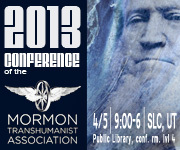 The Mormon Transhumanist Association is pleased to announce the preliminary schedule for our 2013 Conference, which will be held on 5 April 2013 from 9:00am to 5:45pm in Salt Lake City, Utah, in the level four conference room of the Salt Lake City Public Library. Speakers will address the themes of Mormonism, Transhumanism and Transfigurism, with particular attention to topics at the intersection of technology, spirituality, science and religion. Previous conferences sponsored by the Mormon Transhumanist Association include the 2012 conference of the Mormon Transhumanist Association, the 2010 Transhumanism and Spirituality conference, and the 2009 Mormonism and Engineering conference. Keynote speakers will be Aubrey de Grey and Richard Bushman. Special guests Carl Teichrib and Peter Wicks will offer critiques of religious Transhumanism. Other speakers will include association members and leadership. The conference is open to the public. Register now! Future Day is 1 March, and the Mormon Transhumanist Association invites you to join us for lunch and casual conversation about the future at the Thanksgiving Point Tower Deli in Lehi, Utah, at 11:45am on 1 March 2013. Bring your friends and family, and of course your thoughts and questions about a future of radical flourishing in compassion and creation through technology and religion. Please consider submitting a paper proposal for the “Transhumanism and Religion” Group session at the November, 2013 American Academy of Religion annual meeting in Baltimore. Deadline for submitting a proposal is Monday, March 4. This Group welcomes papers on any aspect of transhumanism and religion and seeks perspectives from a variety of religious traditions. We encourage feminist analyses and more overtly philosophical critiques of posthuman discourse and we encourage original research. Papers may identify and critically evaluate any implicit religious beliefs, practices, and values that might underlie key transhumanist claims, goals, values, and assumptions. For example, are there operative notions of anthropology, soteriology, ethics, and eschatology at play in transhumanist quests? Papers might consider how transhumanism challenges religious traditions to develop their own ideas of the human future; in particular, the prospect of human transformation, whether by technological or other means. Papers may provide critical and constructive assessments of an envisioned future that place greater confidence in nanotechnology, robotics, and information technology to achieve virtual immortality and create a superior posthuman species. “Transhumanism” or “human enhancement” refers to an intellectual and cultural movement that advocates the use of a variety of emerging technologies. The convergence of these technologies may make it possible to take control of human evolution, providing for the enhancement of human mental and physical abilities deemed desirable and the amelioration of aspects of the human condition regarded as undesirable. These enhancements include the radical extension of healthy human life. If these enhancements become widely available, it would arguably have a more radical impact than any other development in human history — one need only reflect briefly on the economic, political, and social implications of some of the extreme enhancement possibilities. The implications for religion and the religious dimensions of human enhancement technologies are enormous and are addressed in our Group. We are interested in encouraging and providing a forum for a broad array of input from scholars, including Asian and feminist perspectives. For more information, or to be placed on a very occasional mailing list, contact Calvin Mercer, East Carolina University, mercerc@ecu.edu. 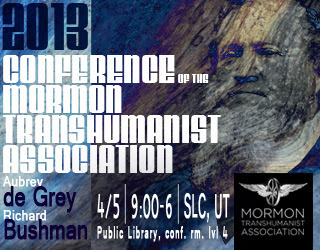 The Mormon Transhumanist Association invites you to help advertise the 2013 Conference of the Mormon Transhumanist Association, which will be held on 5 April 2013 from 9:00am to 5:45pm in the Salt Lake City Public Library conference room level 4, with keynote speakers Aubrey de Grey and Richard Bushman. The Mormon Expositor podcast has published an interview with Lincoln Cannon, president of the Mormon Transhumanist Association, and James Carroll, a director of the association. The Mormon Expositor is a biweekly podcast leveraging a panel discussion format and focusing on Mormon doctrine, practices, culture, and history. Its regular panel and board of directors is made up of both believers and non-believers. They value honest and frank discussions that entertain and enlighten while remaining respectful. Additionally, they strive to present accurate information supported by reliable and accessible sources. 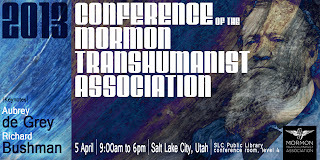 The Mormon Transhumanist Association invites you to submit papers for its 2013 conference, which will be held on Friday 5 April 2013 in Salt Lake City. The association has extended by one week the deadline for submitting paper proposals. The extended deadline is Saturday 19 January 2013. For more information about the call, including suggested topics and important dates, see the original call. For more information about the conference, including biographical information on keynote speakers Aubrey de Grey and Richard Bushman, see the original announcement. Early conference registration discounts are available, so register today! 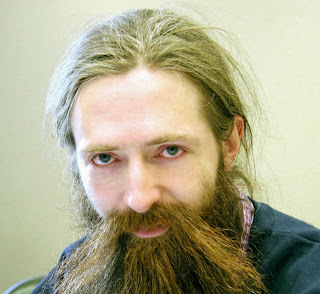 The Mormon Transhumanist Association is pleased to announce that Dr Aubrey de Grey will be a keynote speaker at our 5 April 2013 conference in Salt Lake City. He will speak on "Why it is a sin NOT to strive to develop medicine that eliminates aging". Aubrey is a biomedical gerontologist based in Cambridge, UK and Mountain View, California, USA, and is the Chief Science Officer of SENS Foundation, a California-based 501(c)(3) charity dedicated to combating the aging process. He is also Editor-in-Chief of Rejuvenation Research, the world’s highest-impact peer-reviewed journal focused on intervention in aging. He has developed a possibly comprehensive plan for the repair of all the accumulating and eventually pathogenic molecular and cellular side-effects of metabolism (“damage”) that constitute mammalian aging, termed Strategies for Engineered Negligible Senescence (SENS), which breaks aging down into seven major classes of damage and identifies detailed approaches to addressing each one. As announced previously, Dr Richard Bushman will also be a keynote speaker at the conference. He will speak on "From Humanity to Fulness the Mormon Way". Richard retired as Gouverneur Morris Professor of History at Columbia University in 2001, and then came out of retirement in 2008 to accept a position as visiting Howard W. Hunter Chair of Mormon Studies at Claremont Graduate University. He is the author of Joseph Smith: Rough Stone Rolling and Co-General Editor of the Joseph Smith Papers. He chairs the Board of Directors of the Mormon Scholars Foundation which fosters the development of young LDS scholars. With his wife Claudia Bushman, he is the father of six children and twenty grandchildren. He has been a bishop, stake president, and patriarch and is currently a sealer in the Manhattan Temple. Aubrey and Richard will be joined by guest speakers Carl Teichrib, speaking on "A Christian Critique of Christian Transhumanism", and Peter Wicks, speaking on "An Atheist Transhumanist Critique of Religious Transhumanism", as well as speakers from among the membership of the Mormon Transhumanist Association. Register for the conference today! The association thanks Ben Goertzel for his gracious assistance, consequent to a schedule conflict, in making arrangements with Aubrey de Grey.